Vanderbilt Cup Races - Blog - Update #2: On the Road to Pebble: Thumbs-Up to the Tucker 1044 Team! 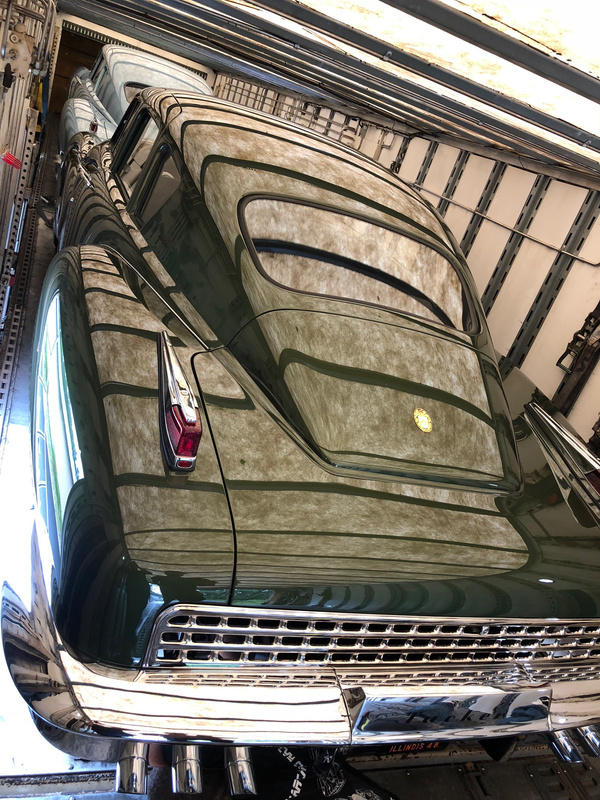 Special kudos to Rob Ida, Mike Tucker, Sean Tucker, Bob Ida, John Tucker Jr., the Ida Automotive Tucker Team (Russ Montelbano, Artie Zygnerski and Gerard Moringiello) and Bruce Devlin and his upholstery crew (Bob Reese and Phil Tuey). The above photo was taken during a road test on Sunday, August 12, 2018. Photo courtesy of Jason Matthew. Now I know where to take that ‘60 Lincoln Continental Limousine by Hess & Eisenhardt, if I ever get my hands on one worth restoring. In any event, this has to be a “double” congrats—first, the ‘37 Chrysler and now the ‘48 Tucker, each done to perfection. Hi-ho, hi-ho, it’s off to Pebble Beach #1044 goes… cravete competitorem! More than good luck, it’s the resources, time, and effort it took to create the masterpiece which is #1044 that will win the day! Congratulations on the completion of your Tucker. Just, absolutely, fantastic! Good luck at Pebble Beach! All your friends at Newsday are routing for you! I just wanted to say Thank You from the Tucker fans across the United States for supporting this project that is now heading west. The combination of the Ida’s and Tucker’s talents are simply amazing, the partnership is pretty special in the Tucker world. We are sure there are many other talented folks that have been involved too, as the length of time of this restoration has been rather short. Howard you chose a great group, we are grateful for your support of the Tucker cause. Enjoy Pebble Beach.